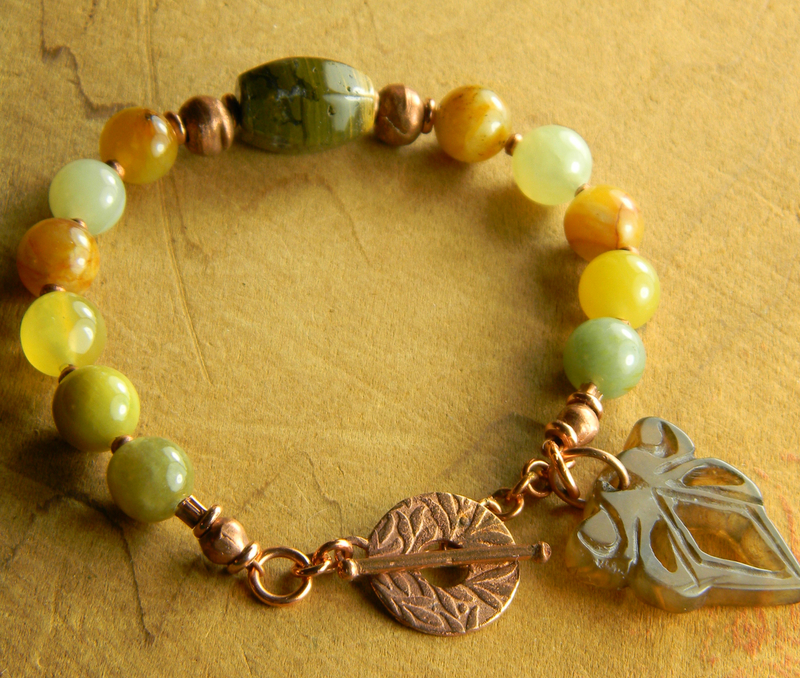 Boho style bracelet design with flower jade in shades of pale green and gold. 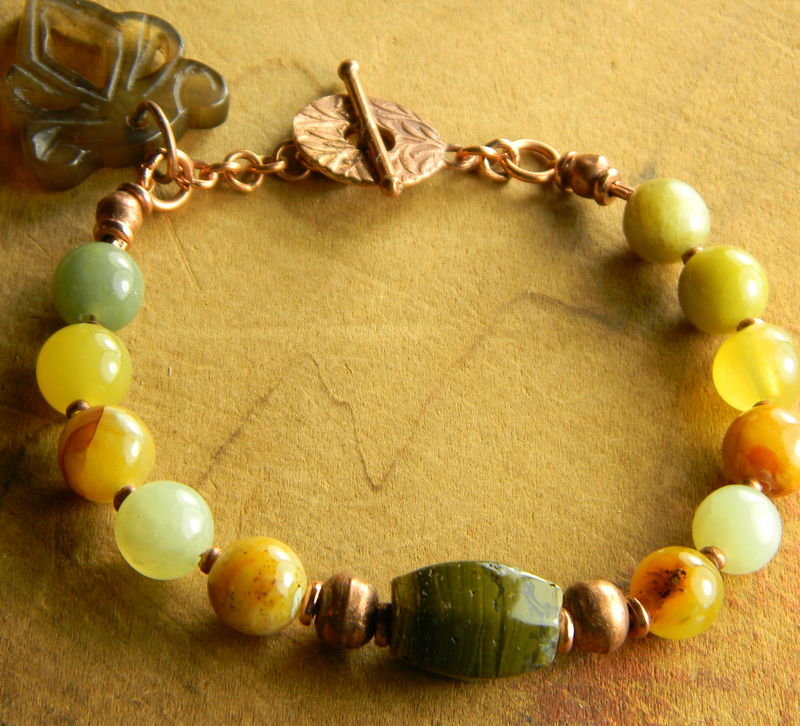 As a focal point, I use a faceted barrel of ocean jasper surrounded with African solid copper beads. 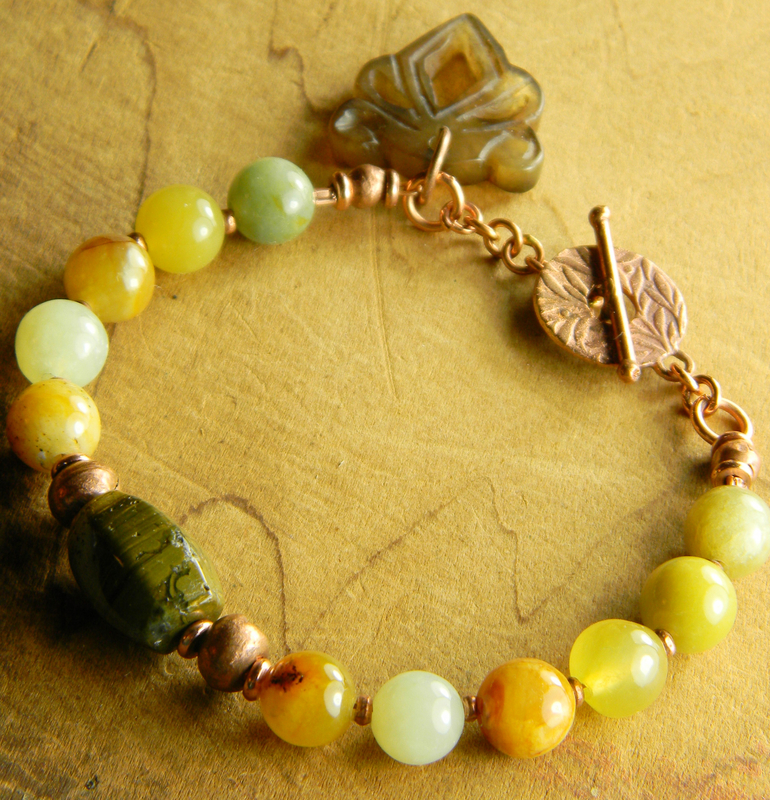 Tiny spacers between the round jade beads, at each of the ends and the textured toggle are all solid copper. This simple design can be worn casually or even a more dressy occasion. The best fit will be on a 6 to 6.25 inch wrist. Please inquire about size modifications before purchase. All my jewelry is 100% workmanship guaranteed. Any problem with construction or component failure within one year (under normal wear conditions) will be corrected at no charge to you. No returns, please, unless you have received a return merchandise authorization.